Vocabulary and pace of delivery is adjusted to the needs of the audience. .... getting people to reflect on their own practices. Alan is particularly interested in how the foreigner perceives living in Norway. Interesting for both Norwegians and foreigners since both connect to the subject albeit from different perspectives. Inspirational, motivational and fascinating. True life stories and anecdotes . Alan deliberately avoids the traditional role of Motivational Speaker. Rather than lecture, he tells stories in a way that, instead of insulting the intelligence of the listener, allows him/her to be entertained and then take from the stories whatever s/he chooses. Lived in 8 different countries and visited over 40. Worked at multi national companies. Started his own successful businesses. Taught business English to corporations in Portugal. Head of department at two international schools. Delivered talks at international business conferences and teacher conferences. Masters Degree in literature and has studied various subjects including law, psychology and sociology. Worked as a freelance journalist. Done a range of other jobs including telesales and running the administration for a yacht chartering business. 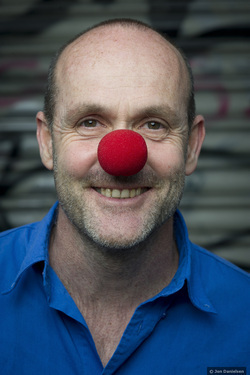 Whilst he has led an unconventional life, Alan has a working knowledge of corporations and businesses and brings this knowledge to bear on his comedy and presentations.